Tomita Tech. USA, LLC et al. v. Nintendo Co., LTD et al. Back in 2011, Tomita sued Nintendo over U.S. Pat. No. 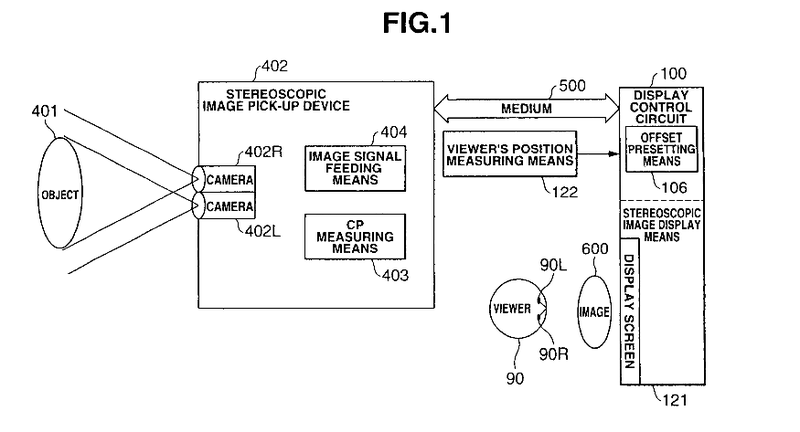 7,417,664, “Stereoscopic Image Picking Up and Display System Based Upon Optical Axes Cross-Point Information.” Tomita alleged that Nintendo’s 3DS game system infringed the ‘664 patent with its stereoscopic 3D display system which provided glasses-free 3D images. In the district court case, the jury (1) found that Nintendo infringed claim 1 of the ‘664 patent, (2) found claim 1 of the ‘664 patent was not invalid, and (3) awarded damages to Tomita. Nintendo appealed several issues to the Federal Circuit related to claim construction issues and other points from the trial. The Federal Circuit reversed the district court’s construction of the claim term “offset presetting means” and remanded for further consideration of whether the accused product infringed under a narrower construction. The term “offset presetting means” uses the magic words “means for” followed by a function – “offsetting and displaying said different video images based upon said video image information….” Thus, the term is properly interpreted as invoking 35 U.S.C. 112, 6th paragraph. Accordingly, the term is to be read as covering the corresponding structure disclosed in the specification along with equivalents thereof. At trial, Tomita argued that this limitation should be construed as covering a “simple circuit” that implements this function. Tomita’s proposed construction cited Figures One, Two, Three, Four through Eight, and 18 different parts of the specification totaling over 200 lines. The district court adopted Tomita’s construction. On appeal, the Federal Circuit noted that none of the descriptions of the Figures discussed any sort of “circuit,” and that the portion Tomita relied on as providing a simple circuit as structure actually describes a very detailed structure. Stripped of this detailed structure, the Federal Circuit argued, “Tomita’s interpretation is no more specific than defining ‘offset presetting means’ in purely functional terms.” Op. at 9. The Federal Circuit noted that Tomita’s expert had testified that the corresponding descriptions for the figures showed the structure for the claims. However, the Court noted that the absence of structure in the cited portions of the specification could not be cured by an expert’s conclusory statements to the contrary. Id. The Federal Circuit held that the corresponding structure for the “offset presetting means” was a timing control unit, a signal switch, a switch control unit, and a synthesis frame memory, and equivalents thereof. Op. at 10. The case was remanded to the district court to consider whether Nintendo’s 3DS infringed under this construction.